Please note that all our conferences are non-thematic as explained in our policy (click here). However, academic members and friends can take the lead to organize and chair a panel/session as part of this conference. Please click here to see our members’ and friends’ panel/session proposals to be organized as part of this conference. Dr. Yorgo Pasadeos, Head, Mass Media & Communication Research Unit, ATINER & Professor Emeritus, University of Alabama, USA. Deadline to submit abstracts: 9 January 2017 (Decisions are reached in less than 4 weeks after the abstract submission-Please click here for our policy on abstract and paper acceptance). Deadline to submit full papers: 10 April 2017 (Unless otherwise is specified in your acceptance letter). Click here for Paper Guidelines. 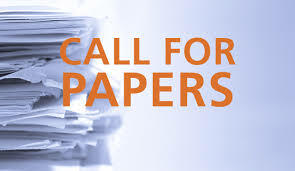 Please submit the paper only if the abstract submission has been officially accepted. ATINER does not consider papers for publication if they are not presented by the author at one of its conferences.